Baxter Dury has debuted the extraordinary video for his new single ‘Pleasure’, which features him crossing the Millennium Bridge, having just escaped from hospital in circumstances unexplained. Filmed in rush hour in approximately 4 takes using a focus puller, a steady cam and a make up assistant who had a small bucket of fake excrement, Baxter and crew made use of the great British workers as extras including a lady with a “magisterial presence like a head nurse” and a “floppy doctor”. 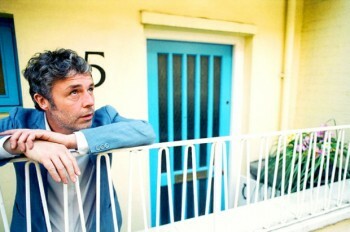 Baxter Dury will be releasing his new album “It’s A Pleasure” on October 20th through his new label [Pias] Le Label. The album was produced by Baxter and mixed by Craig Silver (Arctic Monkeys, Arcade Fire, The Horrors).